The New York State Office of Mental Health (OMH) and Office for Alcoholism and Substance Abuse Services (OASAS) announce the launch of the NYS Behavioral Health (BH) Value Based Payment (VBP) Readiness Program. 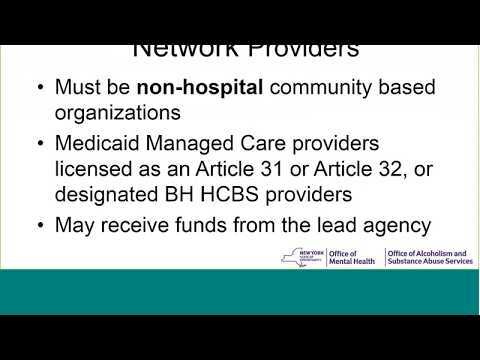 The NYS BH VBP Readiness Program represents a unique opportunity to strengthen community-based behavioral health providers throughout New York State, and prepare them to be successful in NYS’ transformation of the health care delivery system. OMH and OASAS are accepting “Notifications of Interest” from BH providers intending to apply for the program. Responses will help inform the State of provider interest, and will assist in finalizing the specifications of the NYS BH VBP Readiness Program. This webinar walked through the Notification of Interest process and provided an opportunity for questions and answers.